A lug nut is a fastener which is designed and forged for the use to secure a wheel on a vehicle. Typically, lug nuts are found on automobiles, trucks (lorries), and other large vehicles using rubber tires. Wheel lug nuts may have different types, commonly are: cone seat, bulge cone seat, under hub cap and spline drive. Aftermarket alloy and forged rims often require specific lug nuts to match their mounting holes, so it is often required to get a new set of lug nuts when the rims are changed. It’s important to be aware of the lug head diameter. Some lug nuts have a hex nut shape that is designed for a range of regular sockets. Others have a spline-like shape that requires a special key. There are also locking lug nuts, which require a serial-numbered lug key for install/removal. If you purchase aftermarket lug nuts, make sure that you have the hardware to be able to install/remove your lug nuts. It may be a good idea to invest in a universal tire iron. 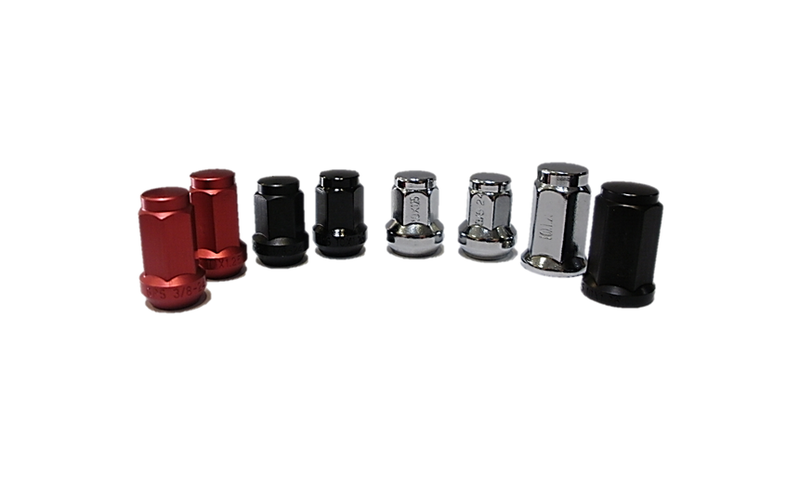 Small diameter lug nuts are commonly used on aftermarket wheels and will require an adapter for install/removal. This adapter may not be the same size as the OE lug head diameter. Such lug nuts are usually produced by steel forging or aluminum forging. Many people may doubt whether use steel or aluminum as the forging material of lug nuts. Below we will tell the difference of aluminum forged lug nuts and steel forged lug nuts, then you can know how to select the right material for your lug nuts. CFS Forge is the China company can supply both forged steel lug nuts and forged aluminum lug nuts, pls contact us while you have such a project.